ECOP networks are platforms for learning and sharing among representatives of ECOP’s member companies. Initially, ECOP networks on three (3) fields of specialization will be established: 1) Industrial Relations and Human Resource Management (IR/HRM), 2) Occupational Safety and Health (OSH), and 3) Corporate Social Responsibility and Responsible Business Conduct (CSR/RBC). The members of the networks could discuss policy issues such as pending labor bills and proposed issuances of the Department of Labor and Employment (DOLE), define their practical implications to the day-to-day operation of business, and provide inputs to position papers being developed by ECOP relevant to the field of specialization of a particular network. They may also look into emerging industry trends and practices, including new business models, and how they may impact on the relationship between management and workers at the enterprise level. The networks could learn from the experiences of other companies on any of the network’s field of specialization through a sharing of best or good practices. The networks form part of ECOP’s strategy actively engage with its members. How will the networks function? 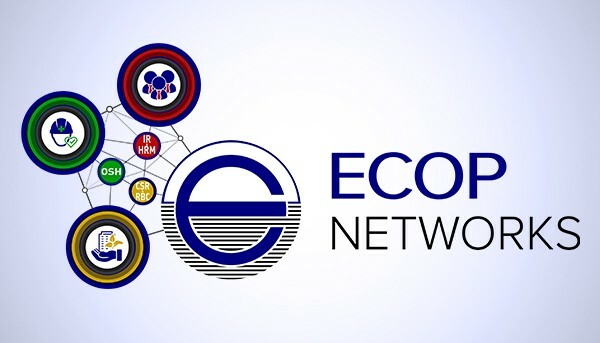 Only members of ECOP may join the network/s. An ECOP member may nominate 2-3 representatives, who must at least be managerial in rank, in any network of its choice. It can be a member of all the three (3) networks. A network shall meet at least once every quarter at the ECOP Secretariat offices. The meeting may also be hosted by any company which is a part of the network. The members of a network shall choose from among themselves a Chair and a Co-chair who shall serve for a term of one year. The responsibility of the Chair is to facilitate the network meetings and ensure that the learning and sharing objectives of the network are addressed with adequate representation of views from each member. Ensure that the meeting feedback is included in relevant outputs or documents.